All these years later, with some more refined techniques, I still work to create something my mom will treasure and find useful. As a mother myself now, I also have a new appreciation for all the mothers in our lives. The importance of honoring the women who support and nurture us is what this spring holiday is all about. Whether you are in the mood to craft something, or you’d rather buy a meaningful gift, here are some ideas in celebration of the women we love. This quick and easy recipe creates an aromatic spray that is refreshing and uplifting without being overpowering. Pour the Witch Hazel Extract into a 4 oz. cobalt glass bottle, leaving room for lavender essential oil. Add about 35 drops of lavender essential oil. Attach a large mister top, and your room spritz is ready! 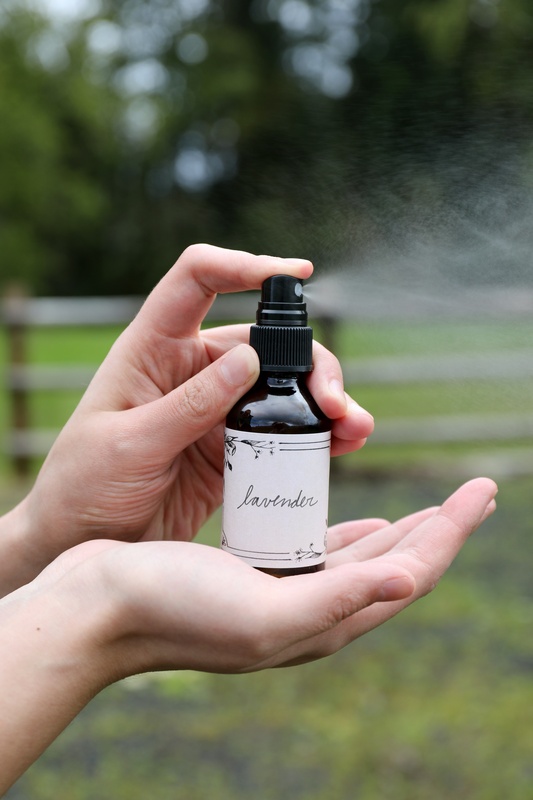 Make sure to shake the bottle before each use because the essential oil will separate from the extract. As with all essential oils, we use a dilution rate based on ounces of carrier liquid, in this case the Witch Hazel Extract. Depending on the strength of fragrance you’re aiming for, we recommend a standard 1-2% dilution per ounce, or 7-10 drops. Instead of the witch hazel extract, you can also use a blend of vodka and distilled water, but I find witch hazel holds the aroma longer. 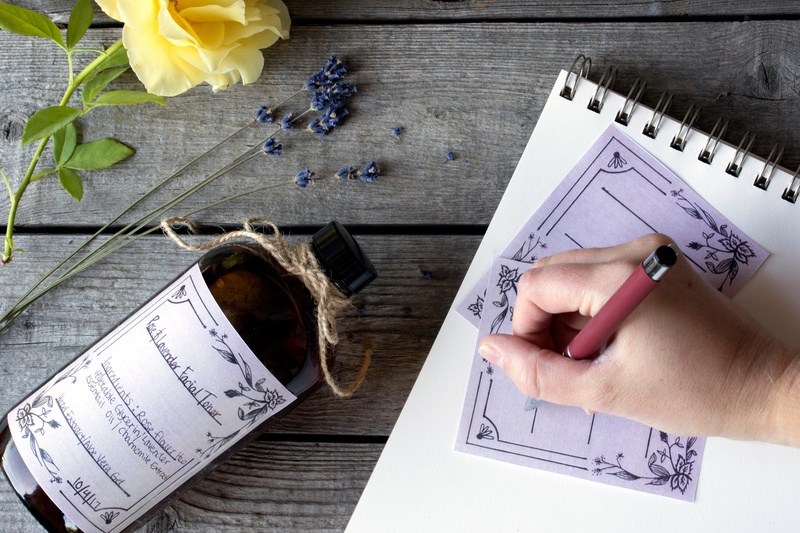 To make it extra special for Mother’s Day, feel free to create a fancy label for your gift. These easy-to-sew sachets can be filled with any of our aromatic herbs and placed in a drawer, hung in the closet, or tucked into a pillowcase for sweet dreams. To get started, you’ll need some fabric cut into two matching pieces. I find that a 3-inch-by-3-inch square makes for a nicely sized sachet. Alternatively, you can use pre-made, 100% organic cotton muslin bags. Sew three sides of your sachet together, leaving the fourth side open for filling. After you’ve filled the sachet with the herbs, sew up the fourth side, and your sweet sachet is ready to go! Pro Tip: These sachets are easily adapted to suit the favorite woman in your life by using a combination of her favorite herbs. If there’s no time to craft, or you’re looking for a little something extra, give that special mom the gift of quality time, and plant an herb garden together. 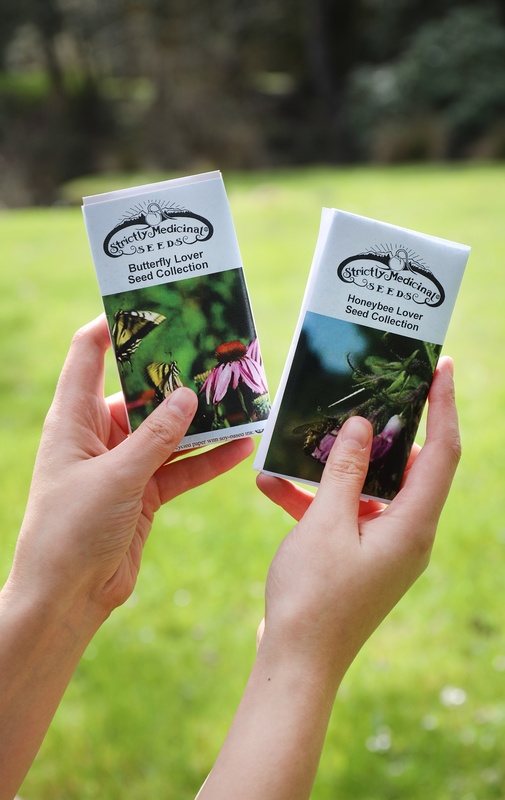 Our Butterfly Lover Seed Set, Honeybee Lover Seed Set, and Tasty Tea Seed Collection each contain multiple seed packets just waiting to get rooted in a garden near you! 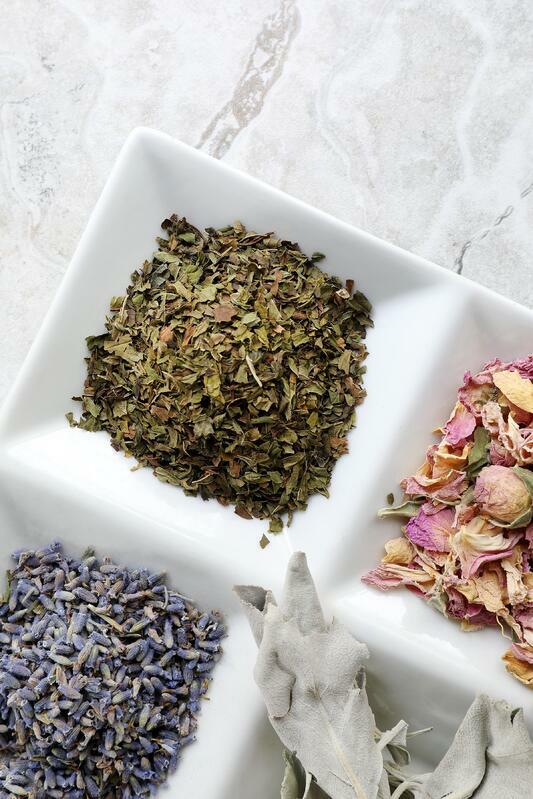 Whichever way you decide to show your appreciation for the women in your life, Mountain Rose Herbs extends a heartfelt thanks to mother figures around the globe. 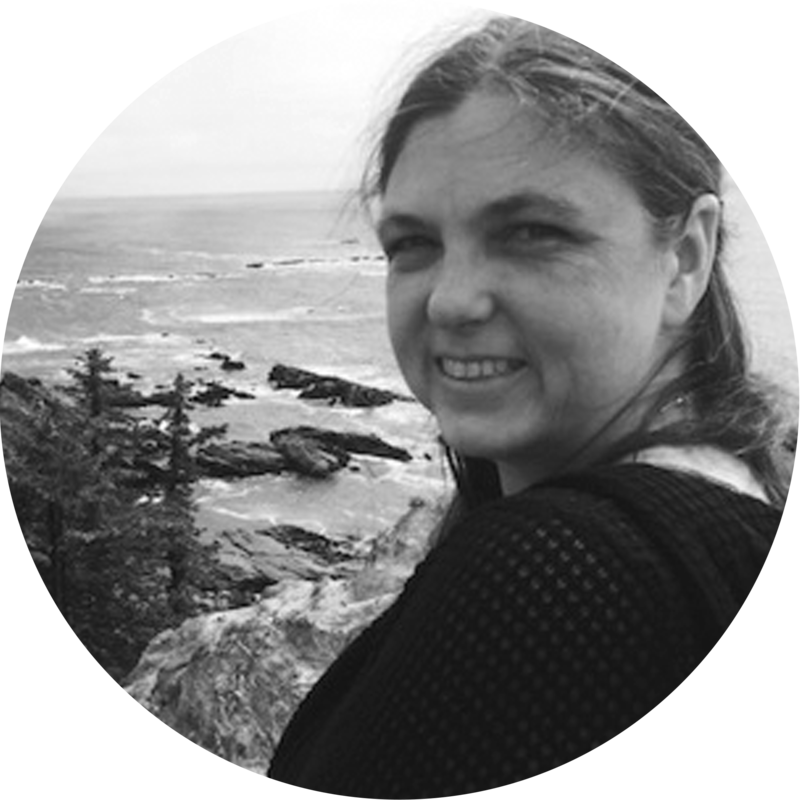 Megan has been a part of our Customer Service team at Mountain Rose Herbs for many years and loves to hear about all of the amazing things our customers are doing with herbs & oils. 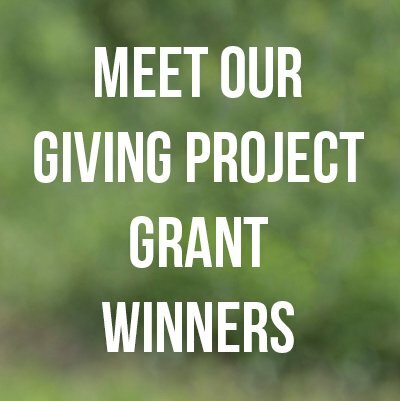 When not on the phones, she finds time to grow her favorite herbs and vegetables, experiment with new herbal recipes, and explore beautiful places in Oregon with her amazing teenagers. Her idea of the perfect Mother's Day gift is an uninterrupted day of gardening and playing with plants!